Karl W. Richter Ltd. has become renowned over the last 60 years for serving industrial production companies ranging from aerospace, OEMs, and civic institutions. With the highest standard in North America in their industry for their integrated industrial products and service offerings, they are famous for working with global manufacturers. 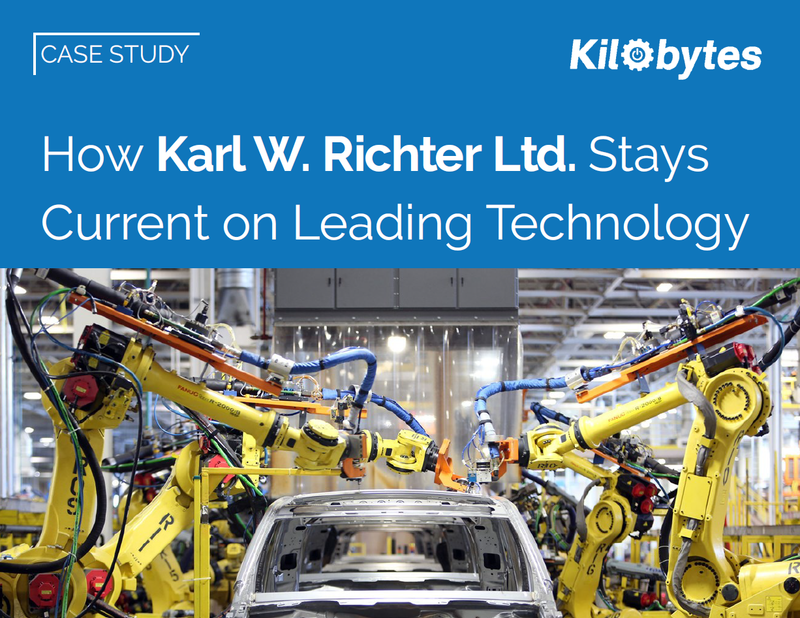 Learn how a deep, proactive, and embedded relationship with Kilobytes as their preferred IT vendor has allowed them to reduce costs by up to 50% while mitigating any risks to the business’s operations.